On December 31st, 2016, the Prime Minister enacted Decision No. 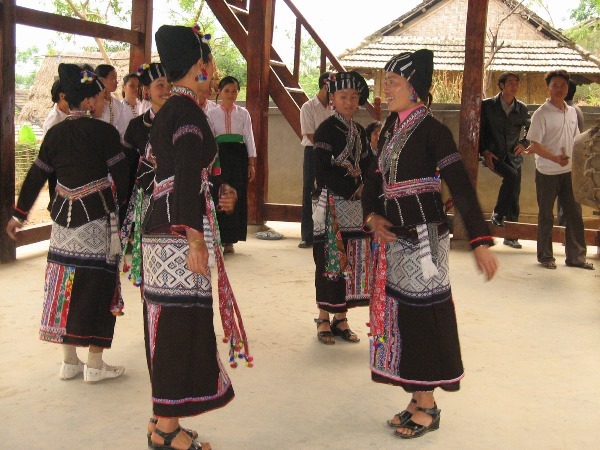 2561/QD-TTg approving Scheme “Increase the role of influential individuals in the ethnic minority area”. This decision aim at increasing the propaganda, promoting the role and executing regulations, policies to influential individuals in the ethnic minority area, contributing to the ethnic tasks, policies of Party, policies and law of Government and building the Great National Unity. According to the Decision No. 2561/ QD-TTg, influential individual is person who know and execute well the Party’s policy, policy and law of Government, local regulation and execute all civil right and obligation; himself(herself) and family is a good example, have positive contribution to the community; understand culture, habits and customs, native language of ethnic group living in the area; have a good behavior, good family and community relationship; have big influence and ability to gather ethnic minority community in particular scale, people in the area trust that person. The selection of influential individual must be follow the rule: right criteria, volunteer, equality, unity and respect to other ethnic groups. About the responsibility of influential individual, himself(herself) and family must know, be a good example and propagandize, explain, encourage ethnic groups in local area to execute Party’s policy, policy and law of Government and local regulation; know the public opinion, life, productivity, ethnic people’s wishes, report to the involved agencies; participate in preventing, solving conflict among people, making a contribution to local safety, participate in building new rural area and local campaign, movement. Based on specific situation and condition, local authority can adjust or add more regulation for the responsibility of influential individual to be suitable. 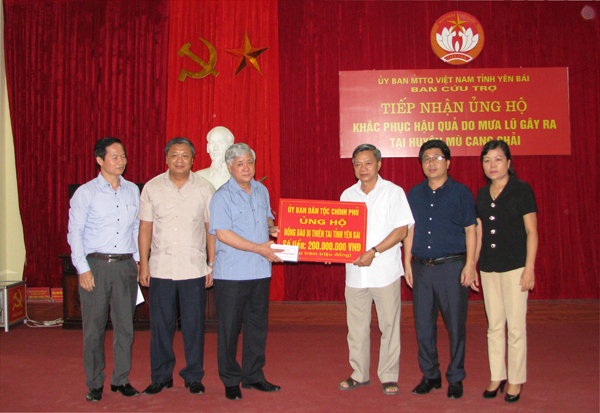 The Decision states clearly that to create the unification of mindset, society approve in campaigning, promoting the role and executing policies for influential individual, it needs the leaderships, management of Party, authority, promote the role, responsibility of Vietnam Fatherland Front and other associations. Besides, executing the managing level, encouraging influential individuals. 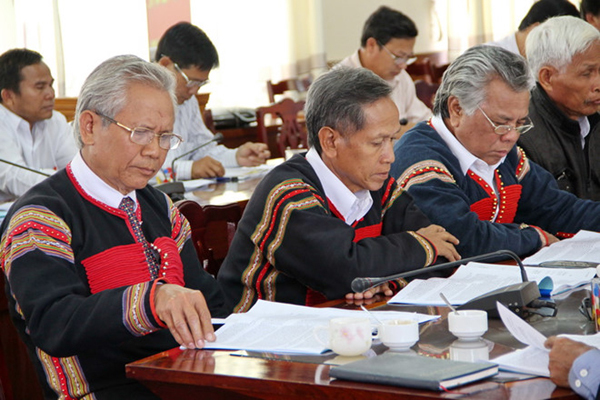 Specifically, influential individuals are under the leadership, management of Party, authority, Vietnam Fatherland Front and other associations. The Central directly manages and supports in encouraging individuals having influence in province or more or having smaller scale of influence but in key area; province authority directly manages and supports in encouraging individuals having influence in district or more or having smaller scale of influence but in key area, complicated security; the remaining of influential individuals are under the leadership, management of district or commune. 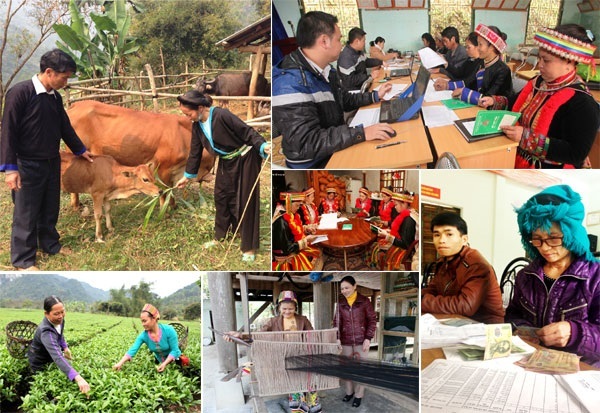 The agencies, which the authority in recognizing influential individuals, annually check, add or replace influential individuals in ethnic minority area. Besides, research, change, replace or enact new policy for influential individuals which needs to be suitable, unification of the content and expenditure for those individuals. National Defense, Public Security will execute and manage specific policy for influential individuals.